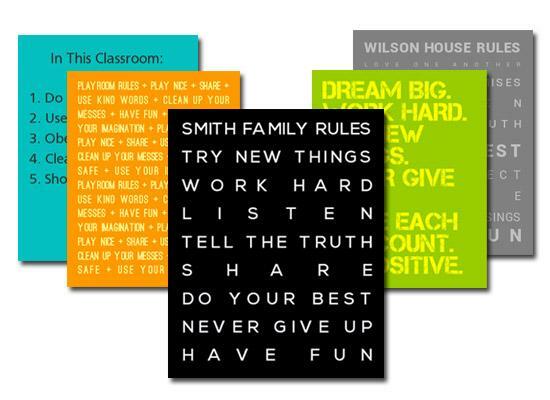 Now it's easy to design a piece of custom artwork displaying all the important rules for your home, classroom, playroom, lake house, clubhouse, office or any place! 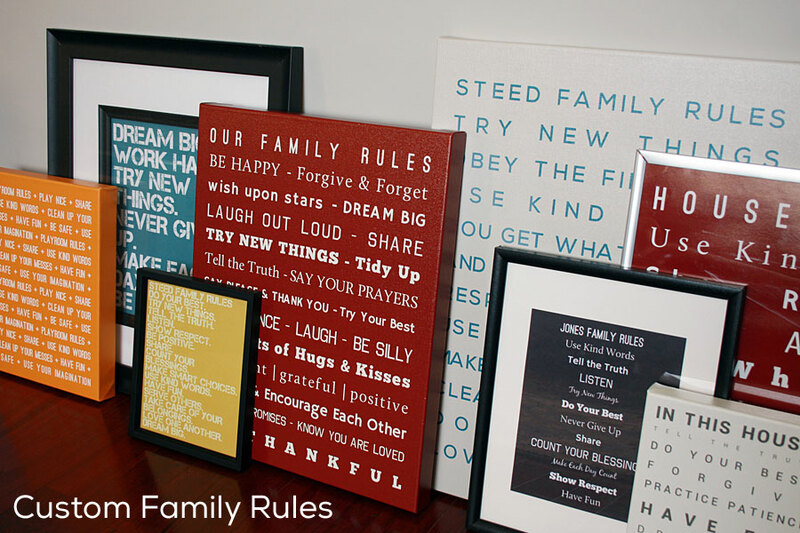 Your Family, Your Rules. You make the rules. You pick the colors. You choose the style. Your one-of-a-kind custom artwork is created instantly and can be ordered as a digital file to download and print, a professionally printed poster, or a truly bold and emphatic wrapped canvas piece of art. Check out this quick video tutorial to see how it's done! Give it a try - it's free (and fun!) to enter your rules and preview the artwork. Build Your Own Family Rules Artwork Now! If you'd like a larger sized print or wrapped canvas, you can order a large variety of sizes professionally printed via my Zazzle store.